Have you ever wished that your IR remote controls can operate audio / video devices through the wall from the next room? Now it is possible and easy. 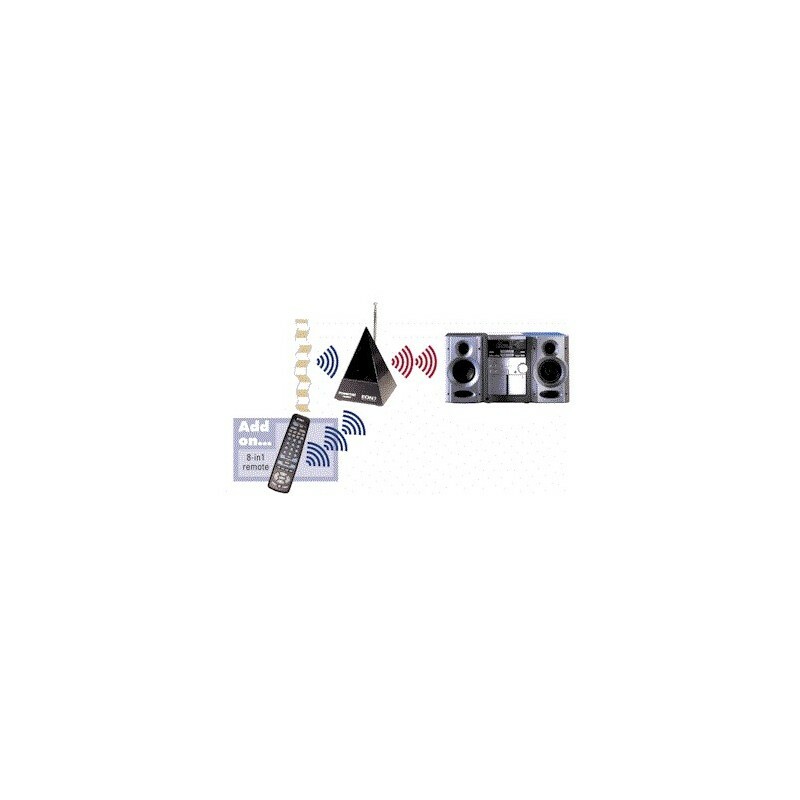 Combining UR24 universal remote control and radio receiver RE10 (pyramids), you gain the ability to control your audio / video devices from anywhere in your house or apartment. For example, a bedroom, where you have placed second TV control video or TV in the living room. Ordinary remote control for your audio / video technology works with infrared signals. These signals are out of control spread in the form of infrared beam that must fall on the receiving sensor controlled device. The infrared beam from the walls and objects in the room reflects and does not pass through solid objects and walls. 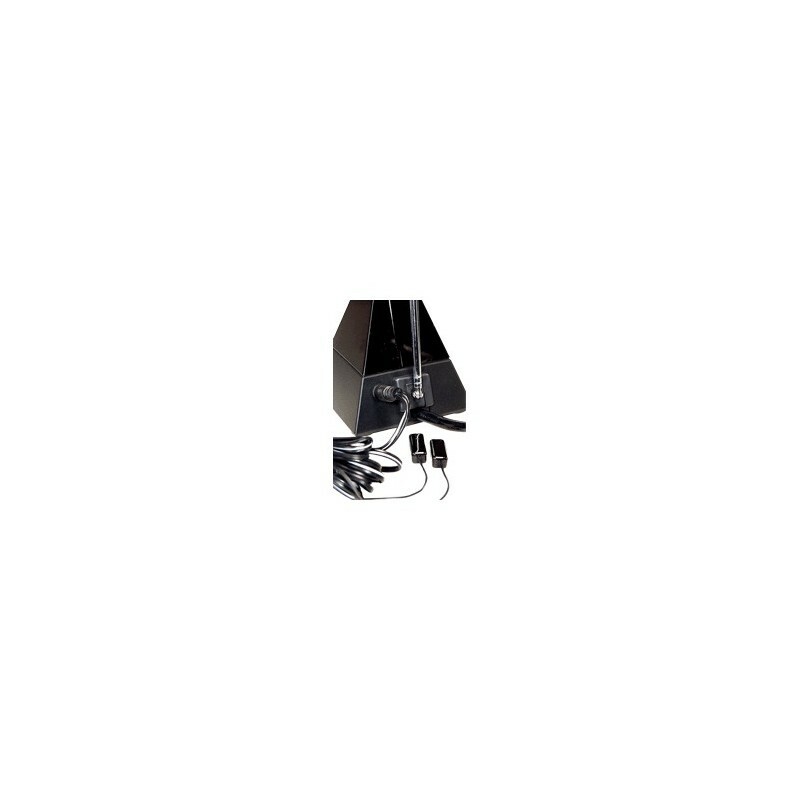 Reach control is thus confined to a room with controlled device. Universal learning remote control sends UR24 along with infrared signals also radio signals at a frequency of 433.92 MHz. Radio signals propagate in all directions and passing through solid objects, walls, floor and ceiling for receiving pyramidce PowerMid placed in a room with controlled device, which converts the radio signal to infrared and sends it to the controlled device. Thus it is possible, for example, the room where it is placed second TV (bedroom) control signal source (satellite receiver, VCR, DVD, etc. ), Which is located in another room (living room). Or, if you connect a second speaker to your HiFi tower in a different room, you do not have the channels or adjusting the volume go up to your room with HiFi, but you control all functions with a suite PowerMid Plus directly from the other speakers. If you have placed your audio / video equipment in a closed cabinet, you can now operate without the box opened. Admission pyramid is located at the rear input jack (3.5 mm jack), to which you can connect an additional cable with three LED transmitter infrared signals IRST, which attach to the infrared receiver controlled devices (this option is not included). Universal learning remote control UR24 includes an extensive library of codes for most TV, VCR, SAT, CBL and CD. 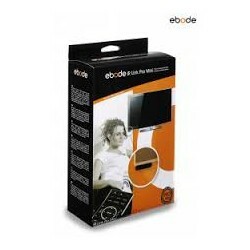 Can replace up to 7 different original infrared remotes to control the normal functions of Audio / Video devices. Includes conventional buttons for controlling the TV, VCR, SAT, CD, etc., And also buttons for controlling the system modules Home Automation X-10, to control and regulate lighting, blinds or other power. device in the house. 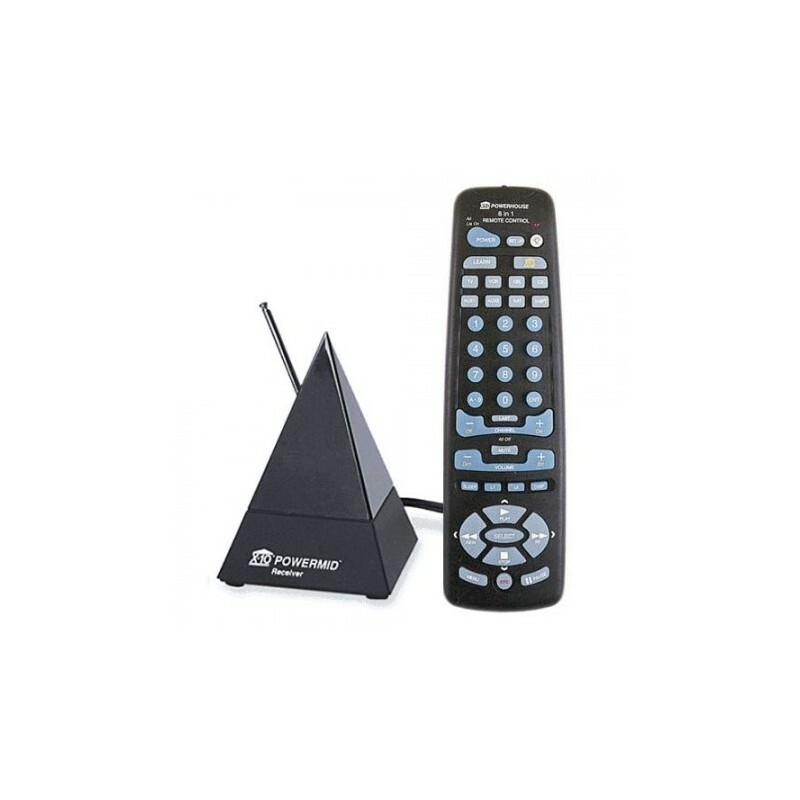 The remote control is equipped with RF transmitter, which ensures the transmission of commands through a wall to an optional RF receiver and thus allow you to control your equipment from anywhere in the house. Backlit buttons will make operation in the dark. 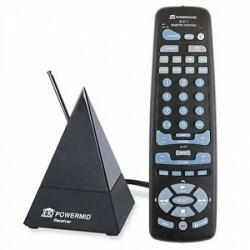 Set PowerMid Plus does not require professional installation, simply insert the remote control 4 AAA batteries, properly place the entrance to the pyramid RE10 operated device, and plug the power cord into 230V / 50Hz. Then just possibly doučit programmed universal remote control UR24.